As polarizing as Warner Bros' Suicide Squad may have been, it was a hit film for the studio. The inevitable sequel is planned and Joel Kinnaman who played Rick Flag has revealed a possible update on its future. Things change as they often do for any movie production but for some reason when reshoots are necessary or if there's a delay, folks on the internet spell doom and gloom for DC Films. Regardless, if the script by Adam Cozad (The Legend of Tarzan) is done soon and a director found this year, filming could begin next year. Writer and director of the first film, David Ayer, presumably won't be available because he's attached to the spin-off film, Gotham City Sirens, featuring Margot Robbie's reprisal as the popular Harley Quinn. Interesting comments from Kinnaman. "Ground the story,""characters in a more normal situation," and "interact with regular people" are all valid requests but when you're dealing with a team of metahuman supervillains I'm not sure how grounded or normal you can get. 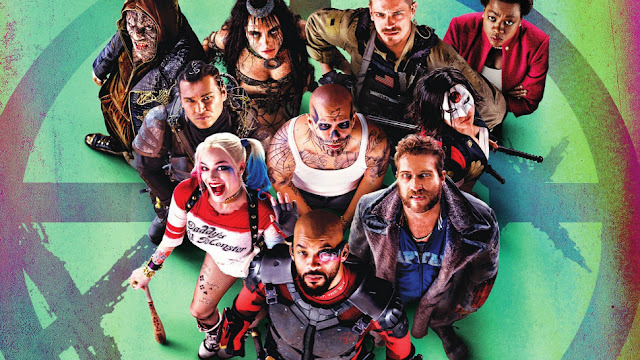 Still, as much as I enjoyed 'Suicide Squad,' it did feel a bit rushed and could have used more character development. Ayer reportedly had little time to write the script but produced a raucous adventure nonetheless. Oscar-winning director Mel Gibson (Braveheart, Hacksaw Ridge) is apparently back in Hollywood's good graces after a tumultuous public meltdown during a DUI arrest in 2006 where he spouted some anti-semitic rhetoric and a vulgar racist misogynist tirade he left an ex-girlfriend on her voicemail in 2010. All is well I suppose since he's publicly stated to having talks with Warner Bros about directing the sequel. During recent interviews, while promoting 'Ridge,' Gibson claimed to have cleaned up his act and that he's no longer that toxic person from the past. 'Ridge' showed he's still a talented filmmaker but that was not the problem. He remains a controversial figure and I don't know if SS2 needs that extra baggage, to begin with. There have been reports the studio is eyeing David S. Goyer and Jaume Collet-Serra (The Shallows) as well to direct. There is no shortage of qualified directors to choose from and I hope Warner Bros broadens their scope to include women and women of color. Patty Jenkins just made history directing 'Wonder Woman' so the studio has no excuse to give more candidates an opportunity. Adam Cozad David Ayer DC Films director Joel Kinnaman movies Suicide Squad Warner Bros.
Labels: Adam Cozad David Ayer DC Films director Joel Kinnaman movies Suicide Squad Warner Bros.